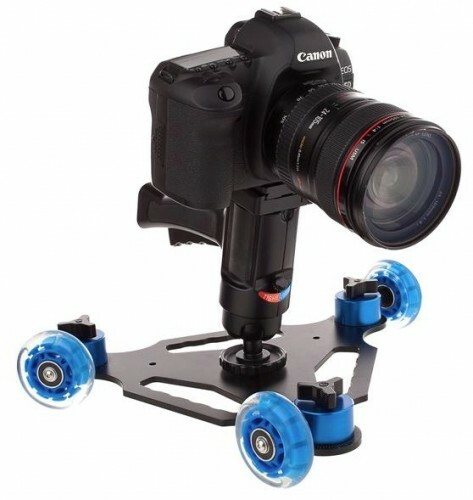 Adorama has a new skate dolly under its in-house Flashpoint brand. The Flashpoint Video Shootskate II Dolly is available as a standalone unit or with a pistol grip ball head. 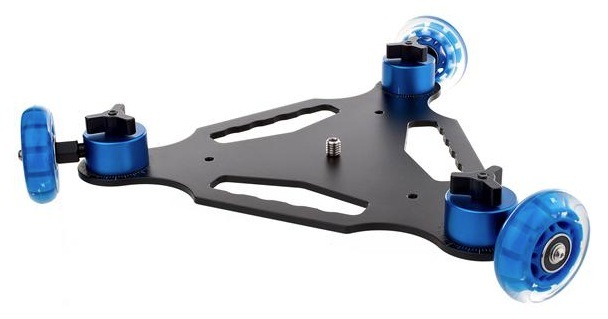 The dolly base has a 12″ wheel diameter with its three wheel design. Each wheel has an angle scale on it and is independently lockable. The Flashpoint Video Shootskate II Dolly retails for $149.99; however, Adorama has it priced at an initial rebate price of $69.95. The Shootskate II Dolly kit with the pistol grip head for $109.95.